CASTRIES, St Lucia. 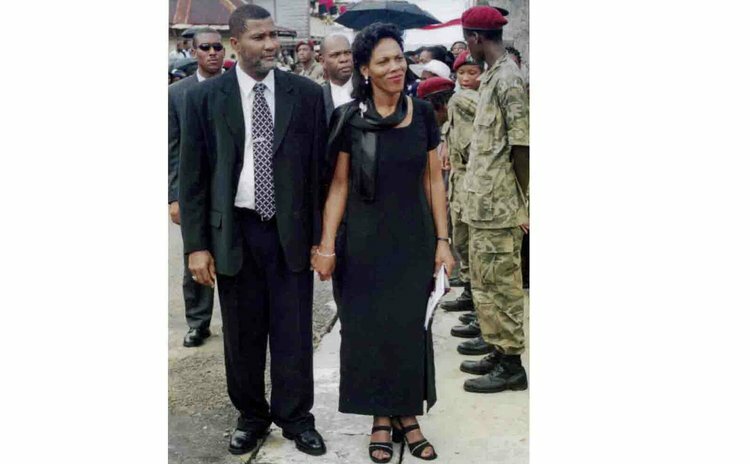 January 12, 2004 (Sun)- It was with deepest regret that I received news last night of the untimely passing of Prime Minister Pierre Charles of the Commonwealth of Dominica. In addition to being colleague Prime Ministers, Hon. Pierre Charles was also a personal friend of mine. We went back a long way and I will miss him greatly. I will especially miss his quiet dignity. With the passing of Prime Minister Charles, the people of the Commonwealth of Dominica have had the extraordinary experience of having two successive prime ministers die in office in just over three years. Their grief must be overwhelming. At times such as these expressions of condolence seem insufficient. But the citizens of the Commonwealth of Dominica are a resilient people who I am sure will derive some tiny grain of comfort in knowing that their deceased Prime Minister was well-thought of throughout the Caribbean and the wider world as a courageous, dedicated and competent leader. Succeeding former Prime Minister Roosevelt "Rosie" Douglas, though in itself a daunting task did not bother Pierre Charles. He knew the difficulties ahead but accepted the responsibility to serve and protect the people of his beloved Dominica. His courageous decision to enter into a necessary but locally painful agreement with the International Monetary Fund proved beyond a shadow of a doubt his absolute disdain for "politics as usual". He accepted that he had to pay a political price for the greater good of his people and country. It cannot be easy for leader to embrace IMF-inspired policies and prescriptions. Pierre Charles did, confident that it was in the best interest of his country. The high office of Prime Minister did not change Pierre Charles. Throughout his tenure, he remained the same humble, sincere and self-effacing individual who had entered politics more than twenty years ago. The people of Grand Bay, the constituency he represented with such distinction for nearly two decades will, I am sure, remember him fondly. They will remember him as a people's person who never lost touch with the common man. They will remember a representative who never made promises he could not fulfil. Above all, they will remember him as a man whose commitment to service was legendary. That is how I, too, will remember my departed colleague. Despite his health problems Pierre did not shirk from his responsibility of serving his nation. And while the people of the Commonwealth of Dominica may consider the world a heartless place for taking yet another of their beloved Prime Ministers away in such a short space of time they can take comfort in knowing that Pierre is free from his pain and suffering. To his wife and children, on behalf of the Government and people of Saint Lucia please accept our heartfelt condolences on the passing of a beloved husband and dear father. To the people of the Commonwealth Dominica. Saint Lucia shares your pain and like you will shed tears for a decent and humble man. Take courage, knowing that the work which Prime Minister Charles started will redound to the benefit of the nation. For our part, and as a mark of respect to an outstanding Caribbean leader, I have instructed that all flags be flown at half-staff for three days, beginning today. Pierre Charles died for his county.